PIDHAYTSI - PODHAJCE - PODGAYTSY. Town Website. Informational and historical page about Pidhaytsi, town in Western UKRAINE (region of Eastern Galici). Formerly part of Austria (1772 - 1918) and Poland (1918 - 1939). Ab. 10.000 inhabitants. District (rayon) center in Ternopil region. Town is situated in the heart of historical area known as Galicia (Halychyna in Ukrainian, Galizien in German, Galizia in Italian, Gacsorszag in Hungarian, Galicja in Polish), which was once independent principlaity and kingdom (until 1375) and later kingdom / province of Galizien under Austrian emperor (1772 - 1918). 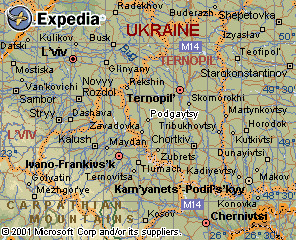 Pidhaytsi and whole Eastern Galicia are situated in Western UKRAINE. 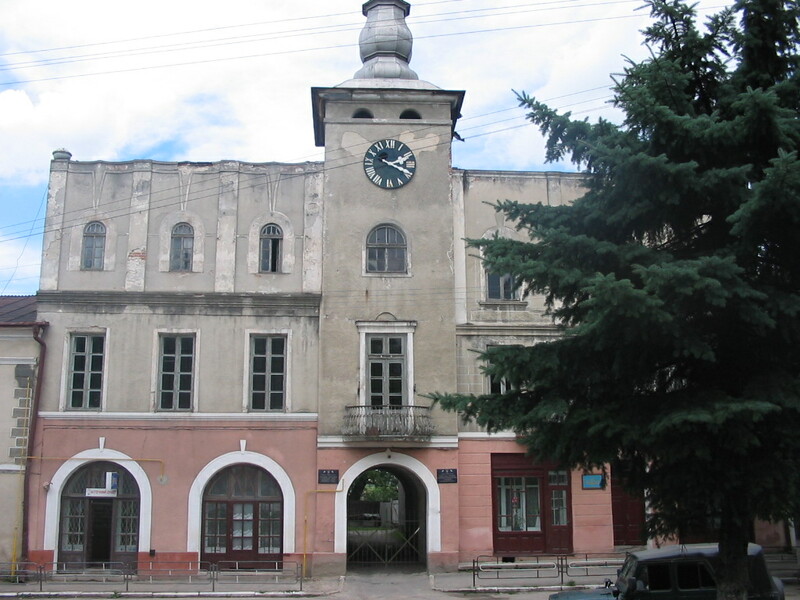 Town's geographical coordinates are 49º16 25º8, 70 km south west from Ternopil , about 120 km south east from Lviv , 30 km south from Berezhany , 24 km from the Potutory railway station. 181 km from Poland's border (at Krakovets crossing). Pidhaytsi was part of Poland during 1375 - 1772, 1918 - 1939 and Austria (Austro-Hungary / Austro - Hungarian / Austrian / Habsburg empire) during 1772 - 1918. In 1939 it was taken by Soviet troops and incorporated into Soviet Union (Soviet Ukrainian Nationalist Republic which is independent UKRAINE now, since 1991). Pidhaytsi numbers about 10.000 inhabitants and before the war it had large Jewish population (nearly 40 %), as well as many Poles. Jews perished in the Holocaust and Poles were deported to Western Poland or Siberia in 1945. First Jews settled in Pidhaytsi in 16th century and Pre-Holocaust Jewish population numbered approximately 2,900. During WW II, most of Pidhaytsi Jews were deported to Belzec in September-October 1942; the remainder were shot in town. Jewish community was not rebuilt after the war . Now town is mainly Ukrainian. Pidhaytsi was founded around year 1539 on the territories which were incorporated into Poland yet in 14th century. In 1667 Pidhaytsi was a battle place with victory of Polish armies (under field commander and king Jan III Sobieski) over Ukrainian Cossack - Tatar forces. And in 1698 here was another battle, namely forces of Polish magnate F. K. Potocki overcame the Tatars. Note also that there are other minor villages and towns with the same name. One in Volynska oblast of Western Ukraine. Others in Russia, Belarus and Kazakhstan. 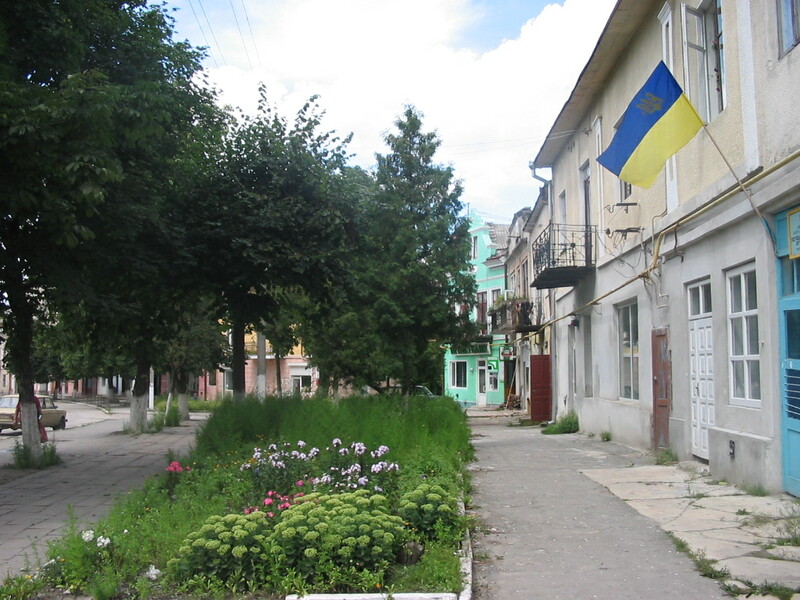 Pidhaytsi is district (in Ukrainian "rayon") center and seat of rayon administration. During Polish rule From 1919 until 1939, Pidhaytsi (then Podhajce) was also district (in Polish "powiat") center and occupied larger territory then it does now. Pidhaytsi district is located in Ternopil region ("oblast", former Polish "wojewodztwo") of Western Ukraine and borders with Berezhany and Kozova districts on the north, Monastyryska and Buchach districts on the south, Terebovlya district on the east and Halych district of Ivano-Frankivsk region on the east. During Austrian times, Nazi rule as well as most of Soviet period, Pidhaytsi and its district were part of Berezhany district (Brzezany Zirkel in German). It lays on the crossroads of roads. One (P 116) connects Berezhany and Monastyryska from north to south and other one (P 118) connects Terebovlya and Halych / Bilshivtsi from east to the west. Pidhaytsi is situated in the valley of the river KOROPETS (Polish name: Koropiec), which starts north of Pidhaytsi and flows further south to the Dniester. It is a small river, one of Dniester´s tributaries. 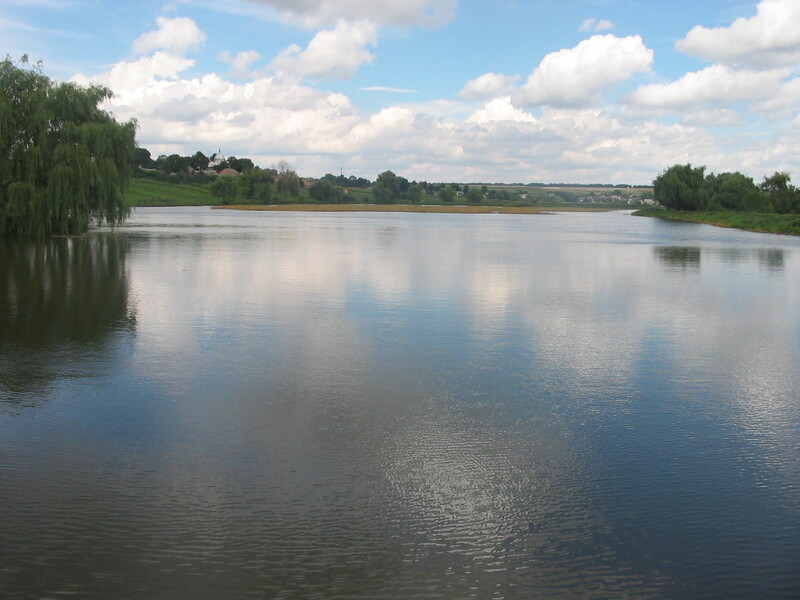 Koropets river forms two large lakes in north - eastern part of the town (see picture of Pidhaytsi lake below). Town is situated in sub-Carpathian area, on the hilly uplands of Podillya. Mountains and hills around Pidhaytsi are not so high. The western mountain reaches 394 meters above sea level. Northern one is 398 meters, eastern one (the closest to the town) is 397 meters and there are two mountains on the south of Pidhaytsi - 405 meters (left bank of Koropets) and 404 meters (right bank of Koropets). Forests are only to the west, north west and south west of the town. These are mainly horn-beam, beech-tree, oak, pine, birch, alder, maple forests and woods. Climate is continetal with cold winters (rarely lower than -20) and warm summers (rarely exceeding +30) with usual Central European vegetation. Town boasts castle walls, pre-historic settlement, Roman Catholic Church from 17 - 19th centuries, stone-built Greek Catholic USPENSKA Church from 17th century and wooden built Greek-Catholic SPASKA Church (1772), as well synagogue from 17 th century. It was erected in late-Gothic forms in 1634. Serving mostly local Polish community. It is built of sand stone, cross-like in its plan and has two chapels on the sides and defensive tower on its facade. The upper part of the tower was added in the beginning of 20th century, replacing the previous one, which was removed in 17th century. The bellfry (which joins the presbiterium of the church) was built in 1643 in rennesaince style. The monument is interesting as a sample of synthesis of architectural styles. Building was built as Arian temple (before 1640s). Additional store was added when it was reconstructed as synagogue. It si built of sand stone, rectangular in its plan. Flat walls have narrow arrow like windows. The monument is THE OLDEST BUILDING IN THE TOWN and plays an important role in the formation of architectural view of the town. SPASKA CHURCH, 1772 and BELLFRY, middle of 19th century. "Spas" means the Saviour. The Saviour´s Church if to translate. It is wooden Ukrainian Greek- Catholic (Uniate) church. Three framework building. The entrance to the church is at the southern facade, decorated with a porch. The monument represents the work of Galician school of wooden folk art. The bellfry is situated to the south east from the church, also wooden, two framework structure covered with cupola roof. Is stone-built three-divisional and three-cupola building. It has a deep cellar underneath. All three cupolas have light lanterns. Inside decorations include murals and sculptures of kiots in the style of barocco (18th century). Original wooden sculpture (from the middle of 17th century) is kept at the Kiev Museum of Ukrainian Art. Pecularity of the monument is in combination of methods and forms of the rennesaince arcitechture (decoration motives) with Ukrainian one (three divisional plan, cupola endings). The construction of its roof is unique in Ukraine. Contains 18th cent. baroque paintings and sculptures. 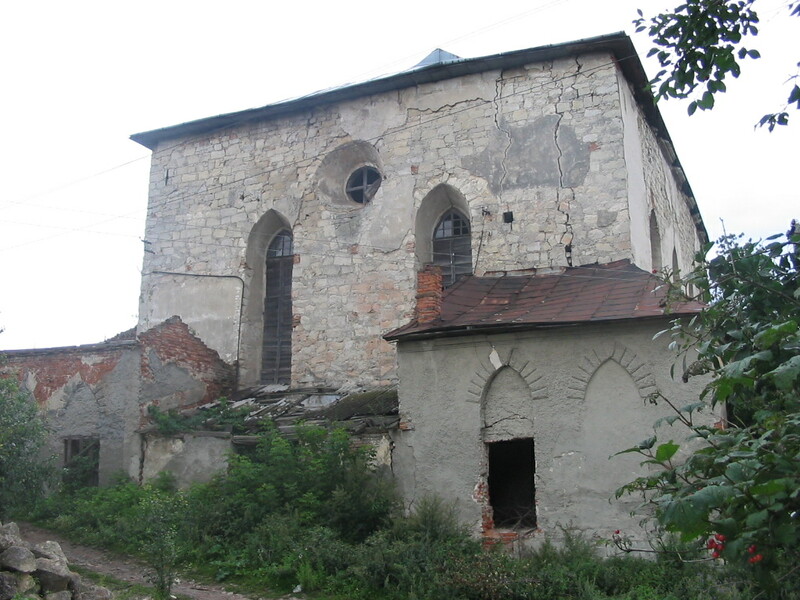 The cemetery is located at center on Lesi Ukrainki str.The earliest known Jewish community was 15th century. 1939 Jewish population (census) was 2872. 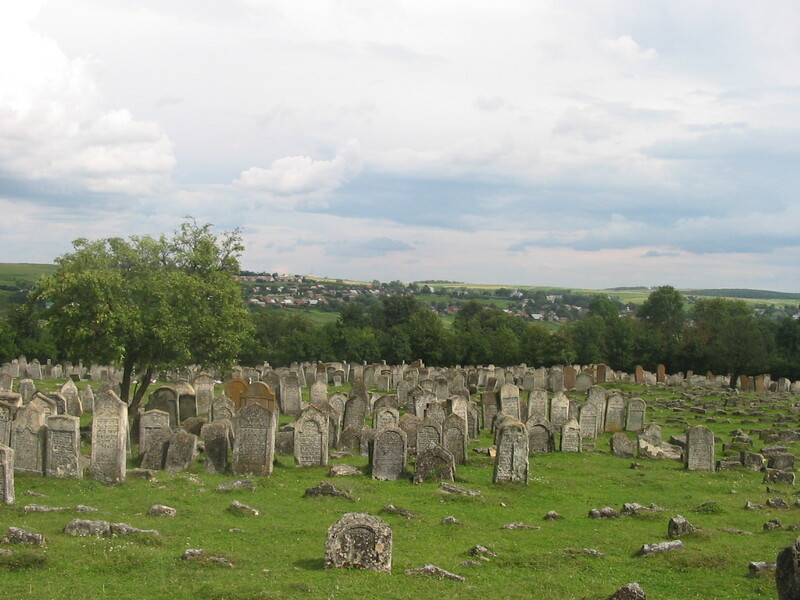 The Jewish cemetery was established in 17th century with last known Hasidic (Karlin-Stolin) Jewish burial 1950. No other towns or villages' used this unlandmarked cemetery. The isolated urban hillside and crown of a hill has no sign or marker. Reached by turning directly off a public road, access is open to all with no wall, gate, or fence. 501-5000 common tombstones, most in original location with 25%-50% toppled or broken, date from 16th century. Location of removed stones is unknown. The cemetery contains unmarked mass graves. The municipality owns site used for Jewish cemetery and agriculture (crops or animal grazing). Properties adjacent are residential and garden. The cemetery boundaries are unchanged since 1939. 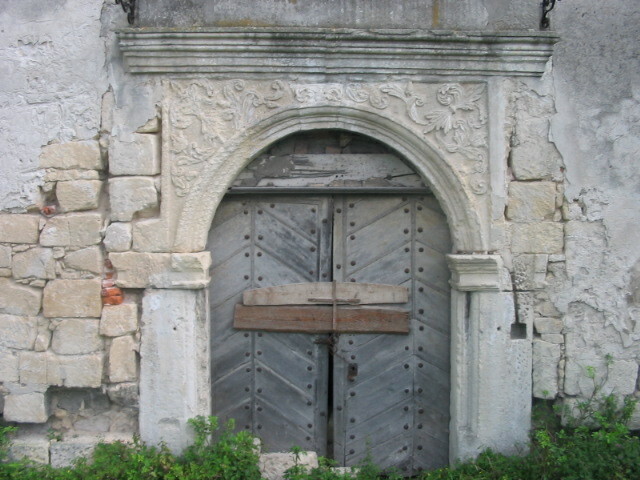 Podhajce Sefer. The Podhajce Memorial Volume. Tel- Aviv 1972. Hebrew, Yiddish & XVII pages in English. Large format, photos. HALYCH (Polish: HALICZ, Russian: GALICH) - souther part of Pidhaytsi, village on the right bank of Koropets river. Do not mix it up with major town HALYCH with the same names, earlier capital of Galician principality. SILTSE (Polish: SIOLKO) - southern part of Pidhaytsi, village on the left bank of Koropets river. ZAHAYTSI (Polish: Zahajce, Russian: Zagaytsy) - remote eastern part of the town, village on the right shore of the Pidhaytsi lake / Kropets river. Name is parallel to the name of the town Za-haytsi = Beyond forest, while Pid-haytsi = Under forest. It was a German (German Roman Catholics) colony village Beckersdorf. 13 kilometers north east from Pidhaytsi. It was renamed by Soviets. Germans were forcefully resettled by Soviet authorities in 1945. It is situated on the hill (398 metes high), on the left bank of river Koropets. Nearby next village is STEPOVE (Stepove is also a new name I think). There is a chapel from the 19th century. Name literally means "white well" and it is quite a large village 10 km east of Pidhaytsi, on the hill. A brook flows through the village. Large village in the valley of Koropets river, 15 km south from Pidhaytsi. The right bank side of the village is called Wolytsya (Wolica). Holhocha has some historic fortifications, pre-historic settlement and stone built Greek-Catholic church from 19th century. Village in the south eastern part of Pidhaytsi district. It was a Polish village and its most it had Polish population. Today few Poles left and population is Ukrainian, as most Poles were resettled to Western Poland in 1945 or were deported to Siberia by Soviet authorities. It boast Roman Catholic Church built in 18th century, as well Greek-Catholic Church also from 18th century. It surrounded by villages of PIDLISNE (it almost merged with Pidlisne. Pidlisne´s former name was Dryshchiv / Dryszczow), VYSOKE (former name Tovstobaby / Toustobaby), KINCHAKY (Konczaki), BYSHIV (Byszow) and TUMYR (Tumirz / Tumir). Horozhanka lays on the border with Halych district of Ivano-Frankivsk region. It is just half way between Pidhaytsi and Halych. And the closest way to get to Horozhanka, would be namely via HALYCH (to the east from it via Medukha to Pidlisne / Horozhanka). Little river with identical name Horozhanka flows via the village. Like Pidhaytsi, Horozhanka is surrounded by hilly landscapes (386 m., 341 m., and 348 m. high). Name Horozhanka derives from "horod / gorod" meaning garden, also town. The eastern part of Horozhanka is called SADZHIVKA (Sadzowka). This village (rectangular in its plan) is situated 18 km south east of Pidhaytsi. It was renamed by Soviets since old name GNILOWODY meant "Rotten Waters" (little brook, flows through the village). Thus it was renamed and given a communist name "Gvardeyskoye" from word "gvardiya" (=regiment of the Red Army). There is a village with counterpart name DOBREVODY (DOBOROWODY) meaning "Good Waters", some 12 km south west from GNILOWODY. Gnilowody boasts a wooden church! LYTVYNIV (Litviniv) - LITWINOW - LITVINOV - village in the valley of Zolota Lypa river, on its right bank. Some 15 km north west of Pidhaytsi. Name means "Lithuanian´s" (Lytvyn/Litwin is Lithuanin in old Ruthenian and Polish languages). Probably there was some Lithuanian who owned that village in old times. The villages consists of two parts - STARYY LYTVYNIV (Stary LItwinow / Old Litwinow) on the west and proper LYTVYNIV (Litwinow) on the west. Large village in the valley of Zolota Lypa, 20 km south west from Pidhaytsi. It borders with villages ZATURYN (Zaturin) on the north, ZAVADIVKA (ZAWADOWKA), KORZHOVA (Korzowa) and VYSOKE (Toustobaby) on the south. Markova boasts castle walls and a wooden church. Probably it was owned by some Mark, so it got such a name. Telacze was renamed by Soviets into Myrne (Peaceful) because of its rough old name (tela means "calf"). 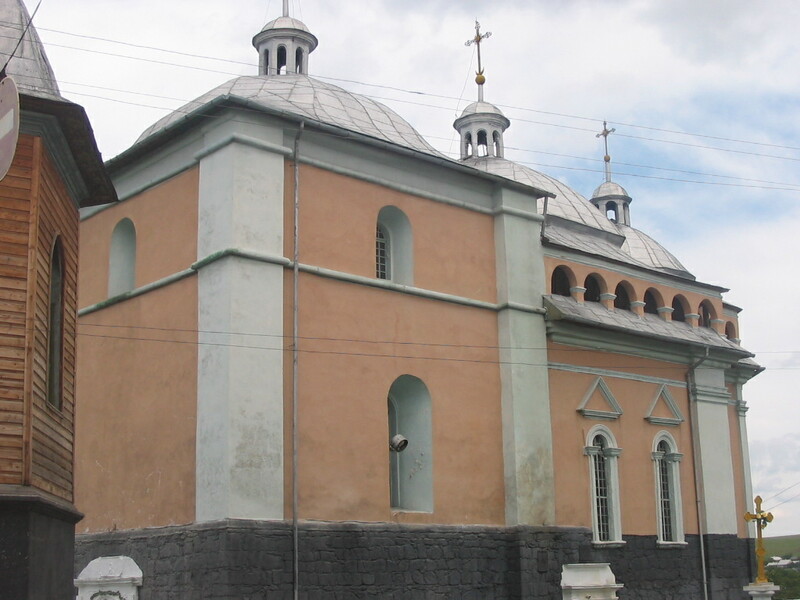 It is just 16 km north of Pidhaytsi and has a wooden 19th century church in the center of the village. Closest villages are SHCHEPANIV (Szczepanow) on the north and MUZHYLIV (Muzylow / Muzylov / Muzhylov) on the south from it. Little village in the valley of Zolota Lypa river, some 10 kilometers east of Pihaytsi. There is a long river lake north of the village. Surrounding hills are covered with forests. Closest villages are Lytvyniv to the north and NOSIV and LYSA to the south. While Uhryniv is on the east. large vilage 20, km east from Pidhaytsi. Village boasts a church built in 18th century and a palace. The name derives from Slavic word "shum" (noise), because of dense forests surrounding it on the east. It is situated in valley of littlle river BEBILKA with quite high hills surround it (409 and 414 meters). It borders with villages SLAVYATYN (Slawentyn) on the north and BOKIV (BOKOW / BOKIW) on the south. is situated at 6 km east of Pidhyatsi, on the upper slope of the mountain. It used to be a town but now it is a village, situated on the right bank of Zolota Lypa river, some 18 kilometers south east from Pidhaytsi. Zavaliv boasts a castle from 17th century, a monument, chapel and Roman Catholic church from 19th century. It is located at the crossroads, being surrounded by forests. The left bank part of Zavaliv is called ZASTAVNE (Zastawne). There are villages SEREDNYE (Srednie) south from it and NOSIV (Nosow) north of it. PLEASE NOTE: Since telephone directory is in Cyrillic, I am given a major transliteration into English from Ukrainian, followed with Polish spelling, as well as other possible transliterations from Ukrainian in parenthesis. Upon contact with me, I may provide you with address and telephone of persons from the list, looking up at the Berezhany and Pidhaytsi Telephone Directory (edited by "Oblpolihrafvydav" in Ternopil in 1988) that I have and used to publish this list. But NOTE that every day I receive a great number of different questions and inquiries and very often I am simply unable to answer. (I did it at the Central European University in Budapest). I would be interested to teach Ukrainian, Russian, Soviet, Polish history or languages or Eastern European Jewish history abroad. Please contact me, if you have any suggestions. All copyrights reserved.See my CV. Feel free to e-mail me at roman800@gmail.com . Thank you for your comments and visiting the page.